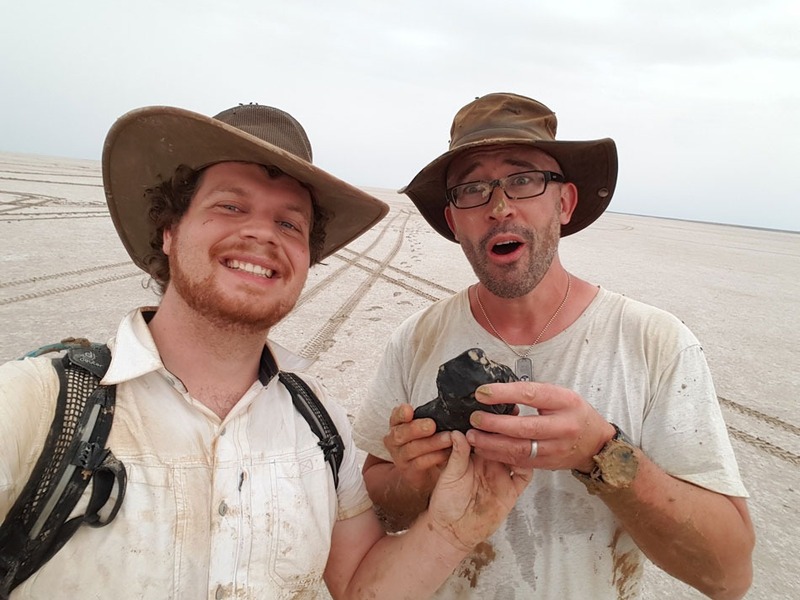 Geologists in Australia tracked a meteorite that hit in the middle of nowhere and found it just before heavy rains would have washed it away from where it landed and buried it deep. Their hard work paid off as the rock turns out to be 4.5 billion years old and they are able to tell where it came from in space (between Mars and Jupiter) since they tracked its flight to Earth. It’s a lot of trouble to send probes up to retrieve such samples. When they fall to us, it’s worth the effort to find them. Like a telegram from the distant past in an old, coded language, studying that rock can help scientists further understand how our solar system formed and took its present configuration. Very cool. When I hear about something this old, I am always struck again by how patient the universe is, how elaborate and extensive the plans of God are. This whole yarn has taken a long time to thread, ravel, and weave. We are part of something much larger than us, much more patient with us than we are with it or ourselves. The modern world is desperately impatient. The rise of ‘young earth’ thinking capitulates to this impatience. Quick and easy creation, God, salvation, life. Fast food theology recreates its god after the likeness of our modern way of life. As that Australian meteorite demonstrates, God isn’t about the quick fix. God plays the long game with the universe and with us. Of course, our time is only a moment by comparison. What is 50 or 100 years relative to 4.5 billion? The modern world flows fast around us and pushes us into its fleeting, quick, meaningless pace. On the other hand, the days and moments of our lives stretch out before us innumerable. I’m sitting here writing this as Isaac, my 6 year old son, slowly enjoys the bowl of oatmeal I made him for breakfast. He is savoring every bite. No, he doesn’t do this every morning. Sometimes, he inhales his bowl in a blur. And yes, I cooked it in the microwave. 2:30 to hot morning goodness. And there it is. We live in this frenetic culture and it pulls us along relentlessly. We have to dig our heels in when we can and enjoy our oatmeal. And enjoy the still, quiet moment of watching someone we love enjoy their oatmeal. More than digging our heels in, I hope we will hear the regular invitation to slow joy and growth from the God who has made all this slowly and carefully, taking billions of years to craft a beautiful, wonderful creation. God isn’t rushed for time. Specifically, the resurrection of Jesus shows us that God has all the time in the world – and beyond. I preached about this last Sunday at Vineyard North and Eugene Peterson wrote a book you should read, called A Long Obedience in the Same Direction. A main part of following Jesus is waiting. Waiting on the Holy Spirit to move. Waiting on each other – and ourselves – to grow in maturity and holiness. I’m convinced that feeling rushed, that urgency of now, that we feel often (many times a day) is an enemy of our souls. Worst of all is when we’re impatient with each other and ourselves regarding matters of faith. That’s like an asthmatic puffing an inhaler and a cigarette at the same time. There are times to demand immediate change, like when Paul called out Peter in Antioch or Dr. King insisted on civil rights, but those are exceptional cases. In our everyday relationships, it’s the slow work of growing together that counts. Those crisis moments will come but we can’t force them or simulate them. Like our God, we’re playing the long game. We may as well enjoy it.